Overall engagement is likely to increase on the social networking platform, while advertisers will be able to better understand their audience, says the social media account director at Manning Gottlieb OMD. Facebook’s chief product officer, Chris Cox, last week posted an update to his public Facebook page which announced the launch of a pilot test of ‘Reactions’ in Spain and Ireland, described as a "more expressive Like button". 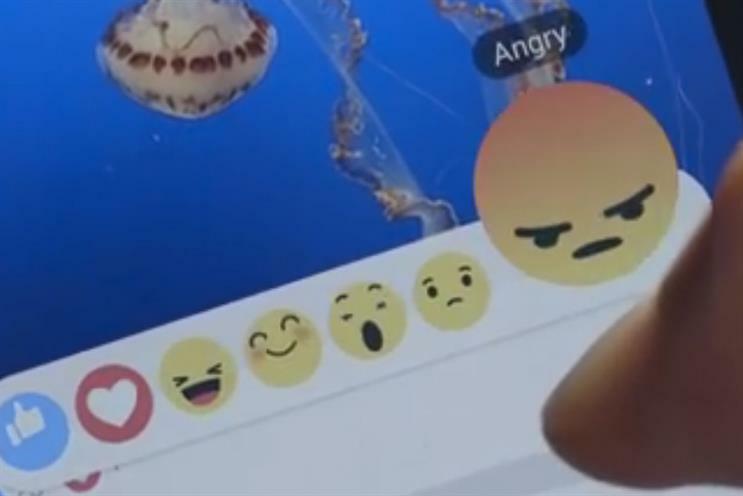 The new feature will allow users to reply to Facebook posts with a pre-determined set of six emojis including Love, Haha, Yay, Wow, Sad and Angry. A far cry from the fabled "Dislike" button that many had speculating about. This represents a positive development for users as it will allow them to better portray a breadth of emotions when responding to friends, content, such as news articles and, of course, ads. Facebook is always working on improving and updating the "user experience" as the reason for product updates and this will ranks as a major update to the platform. The new emoticons represent a real opportunity for brands to encourage users to respond to posts beyond a Like, comment or share offering greater understanding of the impact of branded communication within Facebook. Over the last few months there has been a lot of speculation about the introduction of a "Dislike" button on Facebook and while it’s always been our impression that this was a move about giving some depth of the expression rather than increasing a negative interaction, the introduction of six new ‘light touch’ ways to communicate represents a big shift. The main drivers would be removing the strange feeling generated by "Likeing" posts about negative news stories or tragic events, which has always felt counterintuitive. Also to bring a current user behaviour (commenting with a single emoji) into the architecture of the platform, ultimately making it more quantifiable. The effect will be likely be to increase overall engagement on in the platform, upping the amount of "lightweight interactions" available to those who want to interact, but not go as far as a comment. Although some brands may get slightly nervous at the introduction of the angry face emoji, it shouldn’t affect those who are taking the platform seriously and generating content and sentiment that is appropriate for the channel. Brands shouldn’t be hesitant about producing content and running Facebook ads; instead it should be a reminder that we need to create engaging and relevant platform-specific content that appeals to the target audience. Although it may lead to an increased focus on sentiment, in reality the main change brands are likely to witness will be the need to update their reporting metrics. Overall, it's an exciting and expansive development from Facebook, that will see increased engagement and offer brands an opportunity to take advantage of the new emojis.